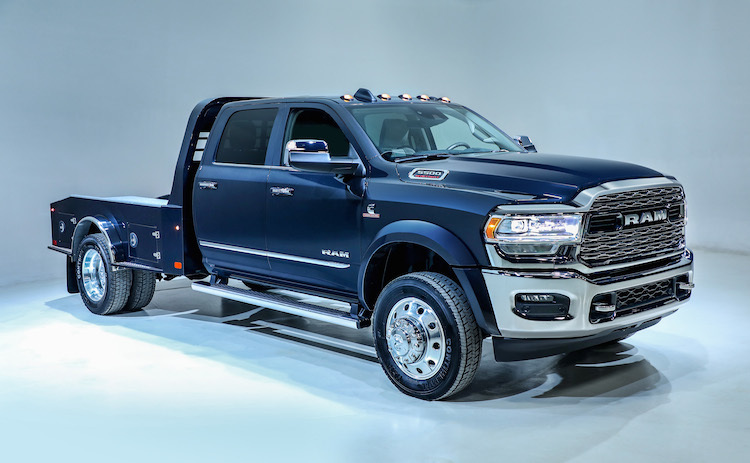 2019 Ram 5500 Chassis Cab Limited. Ram pickup trucks are tearing up the market, thanks in part to an all-new model that’s “bringing it” to the segment. That model is none other than the Ram 1500, which is the brand’s standard full-size truck. But the 1500 is also joined by a pair of heavy-duty models, the 2500 and 3500. These two vehicles help Ram claim the highest performance, payload and towing numbers in the business. Ahead of the Chicago Auto Show this week, we began to hear rumblings of something new from Ram. 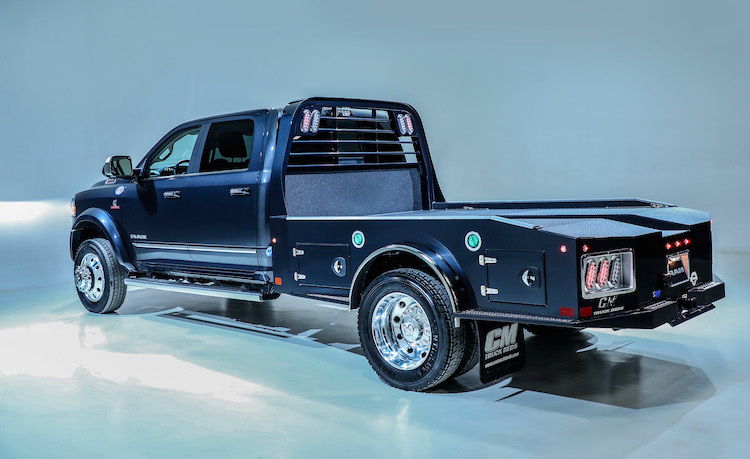 One rumor was quickly confirmed — an available 60/40 split tailgate, giving Ram a viable option to GMC’s “trick” gate. Fortunately, Ram isn’t stopping there. Fiat Chrysler’s truck brand announced that it is releasing all-new chassis cab models. These updated trucks (3500, 4500, and 5500) come with a Cummins 6.7-liter turbo-diesel six-cylinder engine with an output of 360 horsepower and 800 pound-feet of torque. Buyers can also select a 6.4-liter gasoline V8 engine. Both engines work with an 8-speed automatic transmission. Yes, these diesel performance numbers are lower than what the standard Ram 3500 delivers, but that’s okay — the real proof of what the new chassis cab does is in another set of numbers. And those numbers put Ram Commercial at the top of the segment as this pickup truck has a Gross Combined Weight Rating (GCWR) of 43,000 pounds. Moreover, the new Ram supplies 35,200 pounds of towing and a payload capacity of 12,510 pounds. Thus, Ram can claim top numbers ahead of its competitors: Ford and Chevrolet/GMC. At the press conference announcing the new models, a Ram spokesman noted the new trucks may be outfitted to serve in a variety of ways. 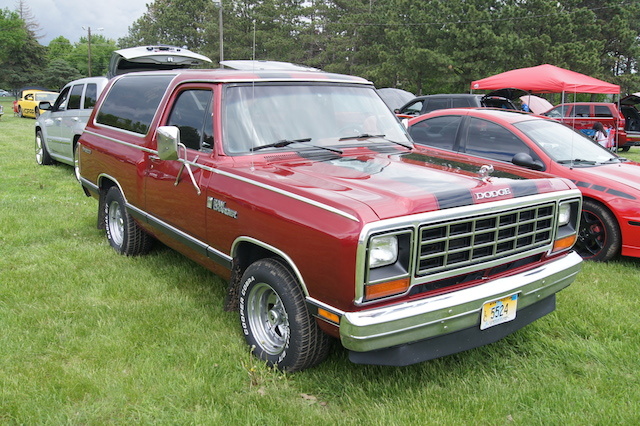 As such, Ram displayed models that included a bucket truck, a crew cab with a horse trailer, and other work vehicles. The spokesman also suggested the chassis cab could be converted into an ambulance and that’s something we don’t usually see from Ram. The new chassis cab is stronger and lighter than before thanks to the truck maker utilizing 97-percent high-strength steel frames. Thus, torsional rigidity is up, while weight is down — by approximately 120 pounds. 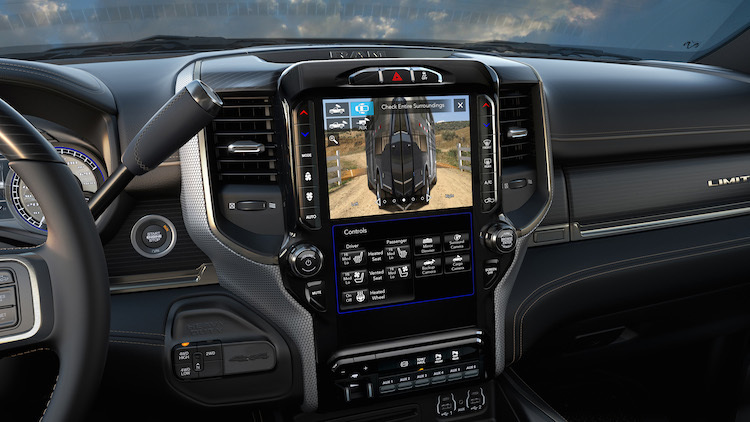 Ram equips the chassis cab with UConnect 4C with a 12-inch display. The package includes the latest audio entertainment with SiriusXM with 360L. Other updates include a “reimagined” center console with a functional workspace featuring more than a dozen different storage layouts. It also has a wider docking area for optional wireless charging and has three USB ports (with two more in the rear). A pair of available 115-volt three-prong plugs is designed to handle up to 400 watts for charging electronic devices or power tools. Moreover, folding up the rear bench seat reveals an additional contained storage space with under-seat compartments. Four different grille styles accompany the 2019 Ram Chassis Cab, with not a crosshairs look to be found. The new bumper has larger openings, which supply greater airflow to the turbo intercooler. Ram also integrated proximity sensors to make them less obvious. You’ll find three headlamp variations, including an adaptive front lighting system. Finally, a new shark antenna handles radio, Wi-Fi, navigation and SiriusXM 360L. Ram continues to chalk up big gains and that’s a reflection of an automaker anticipating customer needs. Despite all the superlatives gushed at the news conference (e.g., massive, big, best-in-class, powerful) Ram appears to put up with those claims. That’s another salvo fired across the bow of both Ford and GM. At least two new models are under consideration. Take a quick look at the Ram brand and you’ll see four models based on its full-size pickup trucks —1500, 2500, 3500, and Chassis, plus a pair of imports from Fiat, the ProMaster and ProMaster City. Compared to what GMC and Chevrolet are offering, Ram is coming up short in model offerings. This may seem like a strange thing from a manufacturer heavily skewed toward all things trucks and SUVs. But with Jeep in the equation, the tilt toward the SUV brand has been apparent and will continue as a new Wrangler and a Wrangler-based truck are soon released. Ever since Ram separated from Dodge, it has lacked the models some believe it should include, such as the now-retired Dakota midsize pickup truck, and the Durango SUV. The Durango stayed on with Dodge, leaving Ram without a single SUV to offer. That deficiency may soon be eliminated if Mike Manley, head of FCA’s Jeep and Ram brands, has his way. Large SUV, But Not For Ram? In an interview conducted by the Detroit Free Press, FCA is considering a large SUV based on the platform underpinning the Ram pickup trucks. That model would compete with the likes of the Chevrolet Suburban and GMC Yukon XL, and represent a strong profit center for the brand. Indeed, large SUVs typically command profits of at least $10,000 and with GM building more than 200,000 of them in 2015 spread across four model lines, that’s $2 billion in profits realized by GM. The next-generation Ram 1500 is due out in early 2018 and that presents an ideal time to consider an SUV variant. FCA is also moving Ram production to Sterling Heights, Michigan, and will gain build capacity. At the same time, Manley indicated that Ram would not get the big SUV. Instead, it would be built for either Jeep, Dodge or Chrysler. Another model lacking from the Ram line is a midsize pickup truck. Ever since the Dakota was canceled in 2011, talk of a replacement has surfaced. With GM bringing back the Chevrolet Colorado and GMC Canyon in 2015, the segment has rebounded. Also benefitting are the class-leading Toyota Tacoma and the aged, but still popular Nissan Frontier. Combined, the segment has reversed its steady decline as consumers consider smaller, but still capable pickup trucks. FCA could develop an all-new platform to support a midsize pickup truck, but it might also turn to Jeep to use the Wrangler’s platform, soon to yield a pickup truck variant. Sharing platforms is economically sensible, but it might also diminish the Jeep brand. Either way, a body-on-frame pickup along the lines of the Colorado and Tacoma, and not like the unibody Honda Ridgeline seems possible. Looking beyond a midsize pickup truck, yet another Ram model is possible, this one a midsize SUV based on the new truck. In a segment where only the Toyota 4Runner and Jeep Wrangler are left (all other models are crossovers), manufacturers are reconsidering whether to build truck-based SUVs smaller than the big models still available today. Just this past week, rumors of such a model for GMC have resurfaced, a model that would compete directly with the Jeep Wrangler. Although FCA wouldn’t necessarily want to diminish Jeep sales by building such a model under the Ram flag, such a vehicle would allow the company to enjoy greater economies of scale. Through June 2016, Ram sales are up 11.3 percent on 256,972 vehicles sold. That’s well ahead of the 1.4 percent gain for all models and follows Jeeps’ 16.5 percent rise. As for new models, Manley didn’t offer definitive plans. Instead, he supplied possible scenarios, what only will whet the appetite of Ram aficionados further.